WooCommerce Table Rate Shipping | 90% OFF DISCOUNT! The Table Rate Shipping WooCommerce Plugin will allow you to customize and extend WooCommerce's default shipping options. This WooCommerce plugin is a staple on any WordPress website running WooCommerce which needs dynamic shipping calculations. Get it at a 90% off discount! Price Elsewhere: $99.00 for a single-site license. ThinkCode Price: 90% off discount! How can Table Rate Shipping for WooCommerce help your business? Table Rate Shipping for WooCommerce will allow you to customize and extend WooCommerce’s default shipping options. This WooCommerce plugin is a staple on any WordPress website running WooCommerce which needs dynamic shipping calculations. You’ll be able to base your shipping charges on the price, shipping zone (location), weight or number of items in the customer’s cart. You can create smart rules which calculate the shipping charges for an entire order, calculate it per item, or per shipping class. Optionally, you can add a handling fee to all shipments by percentage or a flat surcharge. On top of all of this, the interface is extremely easy to use! 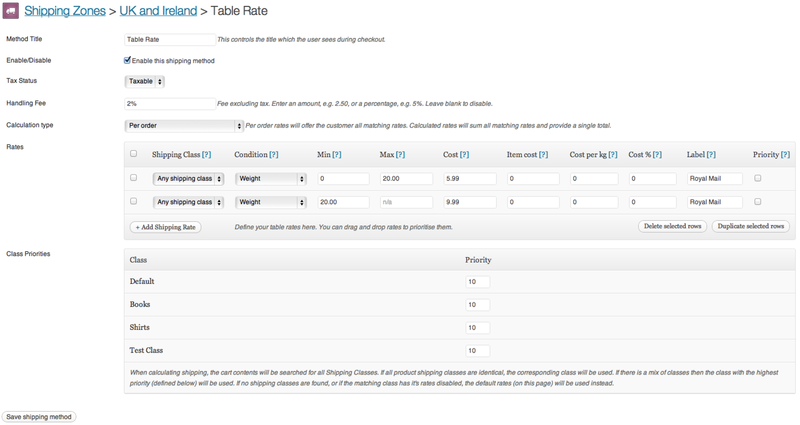 Configure table rate shipping options using Table Rate Shipping for WooCommerce! 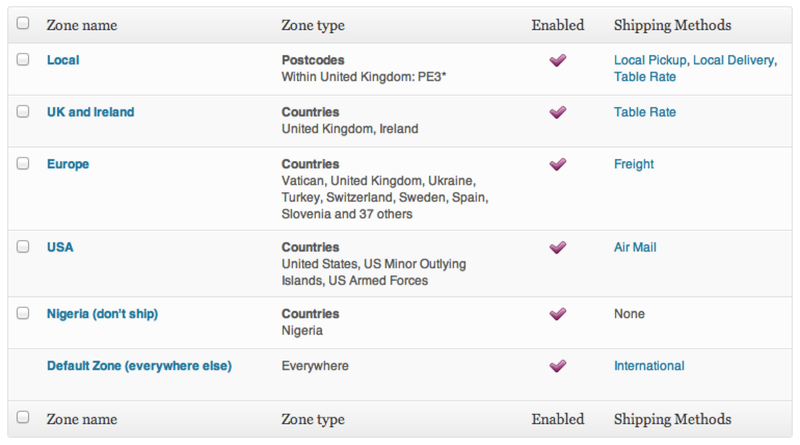 Easily add shipping zones and configure specific settings for each zone using Table Rate Shipping for WooCommerce. Purchase Table Rate Shipping for WooCommerce at an incredible 90% off discount today! Table Rate Shipping for WooCommerce is licensed under the GPL, which allows you to use it on as many websites as you'd like without having to repurchase.